Originally built as a Coach house around 1900, the Cricket House Guest House in the historical heart of Montagu stands on its own, within walking distance of most of Montagu's earliest buildings - many listed as National Heritage Buildings, housing museums, shops, restaurants, pubs and homes. It's location combines town life with a view across the "dorpse-plaase" ( "town-farms" ) over the road, and the ever-changing mountains that surround Montagu in the background. This beautifully furnished and comfortable little house is perfect for family groups, or several friends travelling together. It has off-road parking, a braai facility in the shaded back garden, and a spacious outdoor shower to cool off. Inside, the art and ornaments change with the seasons, and there are always treasures to buy in the custom-made display case. Guests are welcomed with a glass of sherry or cool white wine. Downstairs there is an air-conditioned open-plan living space with both a TV and a selection of books on a wide range of local subjects, a fully equipped kitchen, and two bedrooms: a double-bed room with a door onto the garden and outside shower, and a twin-bed room. The cool and calm bathroom with a deep Victorian bath sits between the two bedrooms. 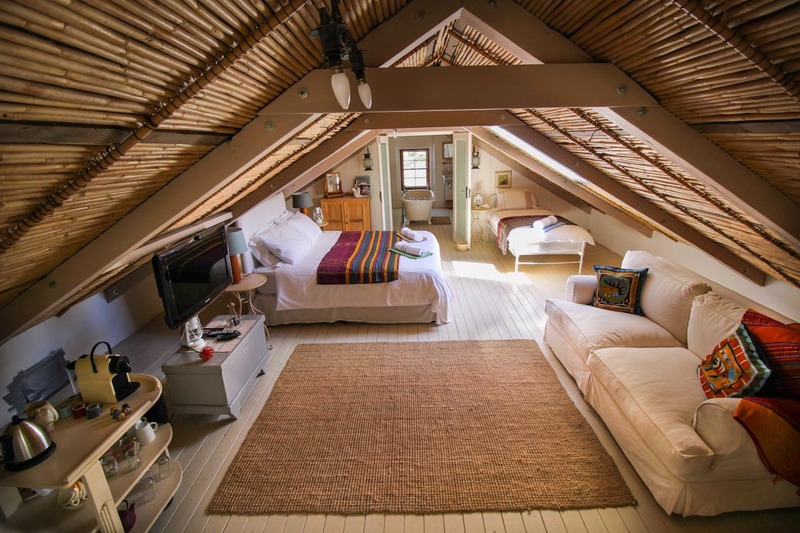 Upstairs there is a double bed under the skylights/stars and a single bed under the eaves, when needed. 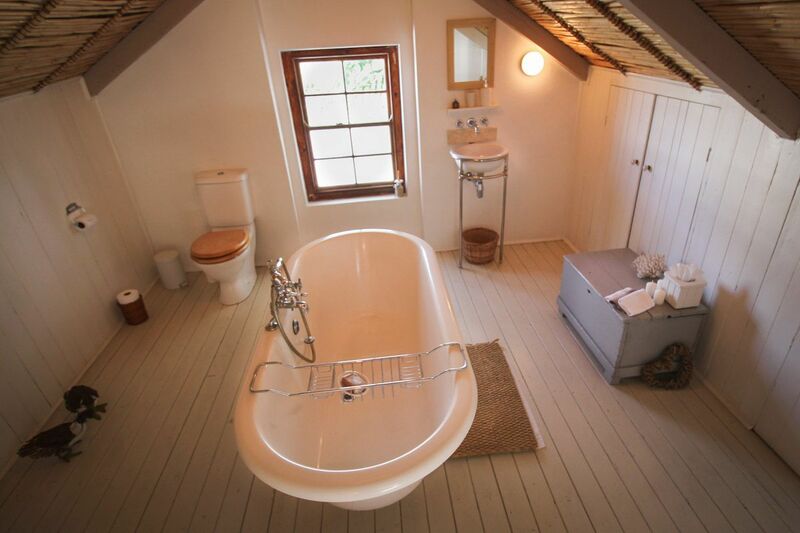 The en-suite bathroom has a Victorian bath with a view of the mountains. 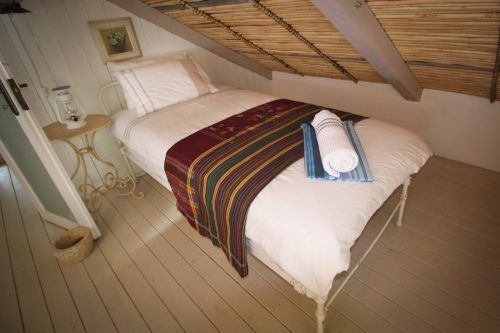 The loft has its own air-conditioning, couch, TV, a selection of books on local buildings, flora, fauna, people and places, a bar-fridge, and coffee and tea facilities. Also Wifi. 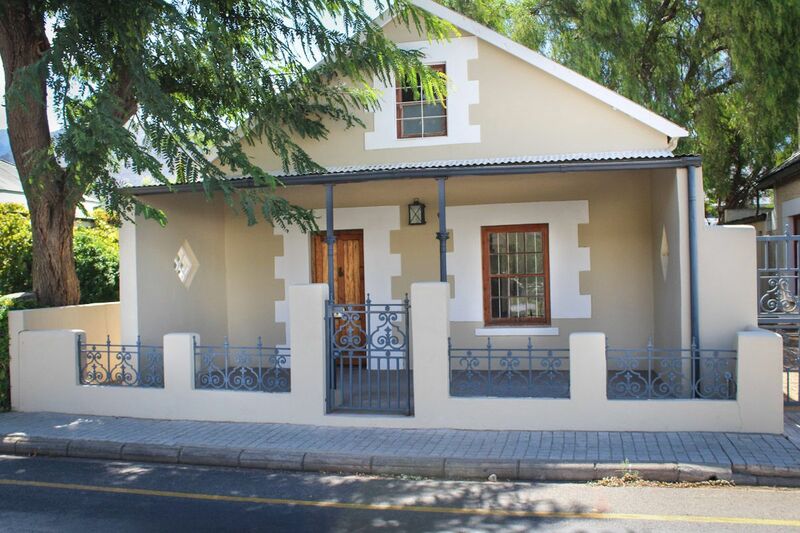 The house is to let from R2,400.00 per night for up to 4 guests. After the first four guests it is an extra R550 per person up to 7 guests. Sleeps up to 7 people - 4 downstairs and 3 in the loft. Children under 12 by prior arrangement. Pets by prior arrangement and at the owners discretion. There is a once-off pets levy of R120 per dog.